The SA Civil Aviation Authority (SACAA) has earned a clean audit from the Auditor-General of South Africa (AGSA) for the fifth consecutive year. The Authority announced it also attained, for the third year running, 100% against its annual performance targets. The achievements come just months after SACAA and its sole shareholder, the Department of Transport, assisted South Africa to attain a clean and improved audit outcome from the International Civil Aviation Organisation (ICAO), the United Nations specialist agency responsible for standardising and administering the regulation of civil aviation operations across the world. “The Clean Audit Award as well as validation of SACAA’s 100% performance again shows the Authority has raised the bar in terms of good corporate governance as well as operational and financial performance. 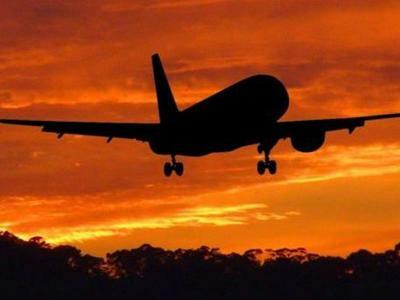 Similarly, the ICAO results demonstrate SACAA is leading the South African aviation industry by example,” said Director of Civil Aviation, Poppy Khoza. The Clean Audit Award is bestowed on entities that not only achieve a clean or unqualified audit in terms of operational and financial performance, but worked hard to comply with the relevant statutes and entrenched tenets of good corporate governance. SACAA’s organisational performance has consistently improved over the last six financial years, from 74% in 2011/12 to 84% during 2012/13 followed by 94% during 2013/14 and then 100% during 2014/15, 20115/16, and 2016/17. Results from the ICAO audit in May 2017 indicate South Africa’s level of effective implementation of ICAO Critical Safety Elements is currently rated at 86.71%, significantly higher than the world average of 60%. The ICAO audit result moves South Africa to the number one position in Africa, and 34th in the world. A comparison of statistics indicates a decline in aircraft accidents compared to four years ago. A hundred and forty-four aircraft accidents were reported during 2013/14, decreasing by 24 in 2014/15, then down to 110 during 2015/16 and finally to 72 during 2016/17. This is a 50% reduction in aircraft accidents compared to four years ago. SACAA, Khoza said, helped South Africa maintain a zero percent fatal accident record in relation to airline and other scheduled commercial aviation operations. Darren Olivier Exactly my point. It's the wrong model for this type of software. Roger Conroy A suitably equipped Ahrlac could really be useful in situations like this, imaging and mapping the flooded area with optical and radar sensors.